On Tuesday, Scotland were beaten by 44 runs. On Wednesday, they thumped Netherlands by 144 runs. That they could draw level in the series with one to play was in large part due to a dominating century from opener Calum MacLeod, who knocked off 145 in 124 balls to lead the team to 317. 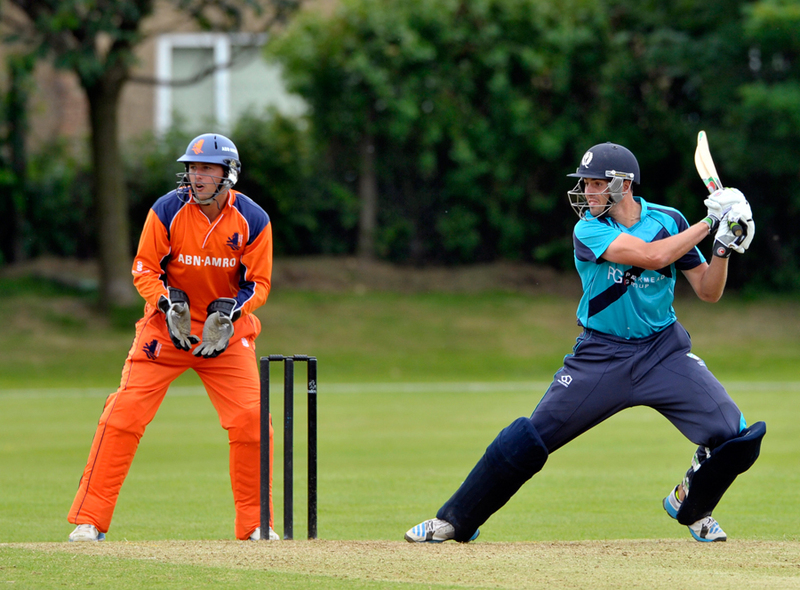 By the time the rain came down 23 overs into the chase, Netherlands were well out of it at 115 for 7. Macleod's assault included 14 fours and four sixes, and only built in momentum as the game went on. He was offered support from Preston Mommsen - who made his second score of 45 in two games - and Josh Davey. With Mommsen he added 92 at close to a run a ball, before carting 84 at 7.52 an over with Davey. That meant that not much of a contribution from the other batsmen did not make much of a difference, nor did seamer Ahsan Malik's figures of 6 for 50. In the chase, it was offspinner Michael Leask who did most of the damage for Scotland, picking up four wickets in an economic spell and effecting a run-out.